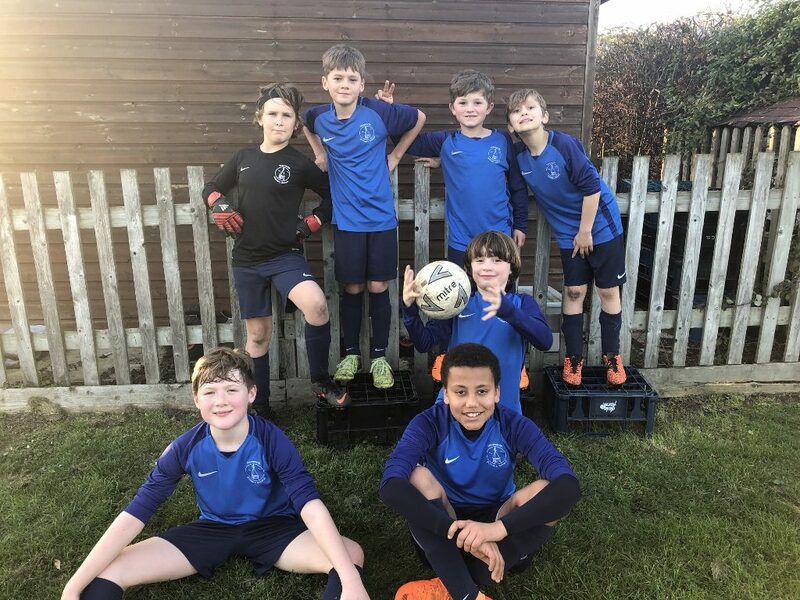 Tetsworth Primary School’s Year 5 and 6 boys’ football team have qualified for the Oxford School’s Football Association League Finals for the first time ever. They had to play four league matches against other primary schools in the competition with only the 1st placed team qualifying for the finals’ afternoon. The boys lost their first match to St. Mary and St. John but then managed to win their next three league games against Marsh Baldon, East Oxford and St. John Fisher. The Marsh Baldon game was even more impressive as it was played in the snowy conditions of early February. Jermaine, Alisdair, Evan and Emil have served up all of the goals for Tetsworth in the qualifying stages but Theo, Peter and George have been very strong defensively. Tetsworth is a small village school with a cohort of 57 pupils, so in taking on school’s from the city of Oxford, the boys have done tremendously well to qualify. The finals are on Friday 15th March at Oxford Academy, Littlemore where the boys will play Rose Hill, Wolvercote and Windmill who also qualified out of their group stages.